Crown Logistics are exclusive UFO members representing Kuwait and are a part of the Crown Business Group. 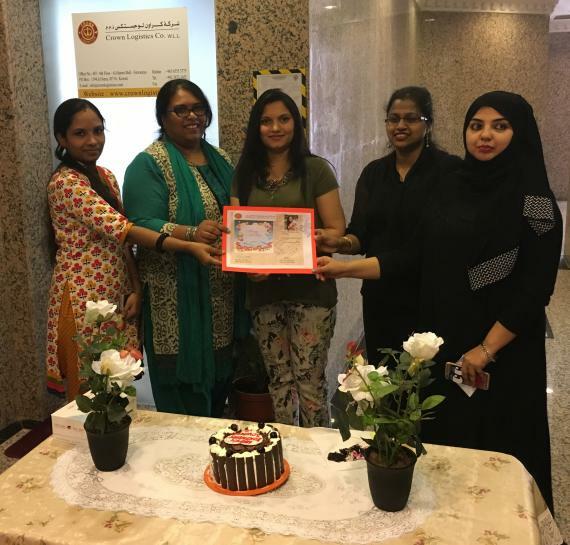 The company ensure they take the time to celebrate the birthdays of their staff members as well as the yearly holidays of Christmas, New Year, Eid, Diwali, Onam etc. This friendly program has been ongoing at the group for the past 12 years and is part of their vision and mission to motivate their employees with the satisfaction to perform excellently. 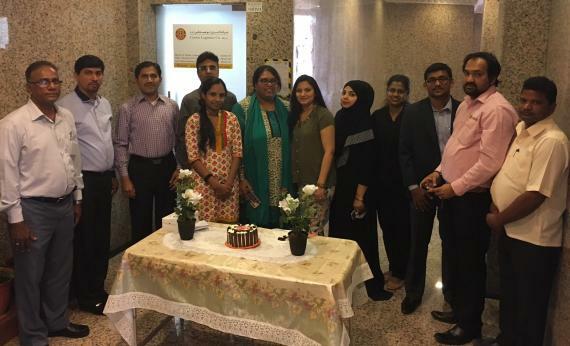 Last week, Crown Logistics celebrated the birthday of Ms. Sowmya who some members will know from work handled with the company - email sowmya@crownlogisticsco.com with your best wishes! Pictures of the celebrations are shown right and in the thumbnail gallery below. Crown Logistics look forward to handling more and more shipments in the future with UFO members. Please find details of the business activities of Crown Business Group listed below and contact Managing Director, George Madtha (george@crownlogisticsco.com) with any enquiries or opportunities.